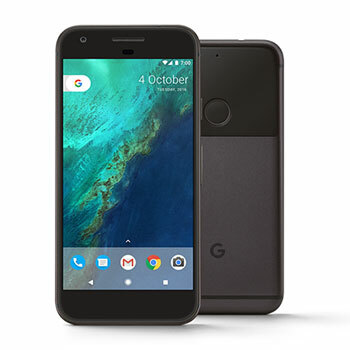 The Google Pixel handset is the first smartphone to house Google Assistant, built in to the device. Get your questions answered on the go, manage everyday tasks, find photos fast, translate on the go and keep tab on travel and updates wherever you are in the world. 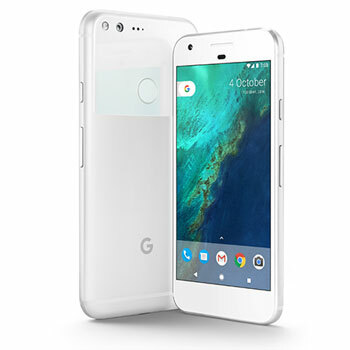 A combination of Google's hardware and software, including all your favorite Google apps, brings you a fast, seamless, and easy-to-use experience. Chat to friends face to face on the 5.0 inches FHD AMOLED (2.5D Corning® Gorilla® Glass 4) thanks to Google Duo, Google's video calling app that connects you even if your friends are on Android or iOS. And finally wave goodbye to 'Full Storage' notifications, thanks to unlimited storage for your photos and video on the cloud. The seamless glass-aluminium body, with smooth surfaces and easy-to-grip curved edges houses a Qualcomm® Snapdragon™ 821 (MSM8996 pro) processor. Stay connected thanks to a battery that lasts all day, and charges fast. Enjoy all that Android OS, v7.1 (Nougat) has to offer, with thousands of apps at your fingertips. A 89 DxOMark Mobile rated 12.3 megapixel camera on the Google Pixel allows you to capture brilliant photos in low light and bright light situations. The combination of large 1.55μm pixels and f/2.0 aperture ensures great shots in any setting. Capture the perfect selfie on the 8 megapixel front facing camera, with 1.4µm pixels,f/2.4 aperture and fixed focus.